Despite some new competition from Google, Amazon's virtual assistant Alexa — usable through the Echo, Dot, Tap or Show, or various other smart home devices that work with it — currently has a stronghold on the market. And this "smart" device is getting smarter by the second. What one can accomplish from the comfort of the couch while using just one's voice is truly remarkable. If you were lucky enough to have an Alexa-enabled device wrapped up for you under the tree, now is the time to unpack it from the box and put her to work. But now that you have Alexa at your disposal, what are some of the best ways she can work for you? Here are some of our favorite ways to utilize the service to make your life easier, healthier and a bit more fun. Alexa's about to be your new BFF. Simply connect your favorite music program to the Alexa app and she'll crank out all your favorite tunes — or find some new discoveries by genre. Sick of what you're hearing? Ask her to play the next song, or make a specific request. Out of toilet paper? Short on snacks? Alexa connects to your Amazon Prime account, so all you have to do is shout out your necessities, request Prime Now and get what you need in a jiffy. Have something in the oven? Need to remember to call someone or move your car at a certain time? Alexa has a built-in reminder and timer — all you have to do is ask her to remind you to do something or time something and she'll do it. Load your contacts (don't forget your own number!) into Alexa and the next time you have to call your mom, you can do it hands-free. Lose your phone? Alexa can call that, too. Lyft is integrated with Alexa, so all you have to do is ask her to request rides — she'll even remember where to take you to work. Super handy for the next time you're running late and need a ride STAT! Alexa can spit out a basic weather forecast for your area during set-up. But if you favor details a Doppler can give you, CNET says opening the Alexa app and enabling the Big Sky skill can tell you when it's going to rain almost down the minute. Never be caught without an umbrella again. Alexa connects to the popular 7-Minute Workout app, enabling you to activate a work-out with a mere shout-out. All you have to do is say "Start 7-Minute Workout" and clear the furniture. If you need a break, tell Alexa, and she'll pause the exercise to let you catch your breath. 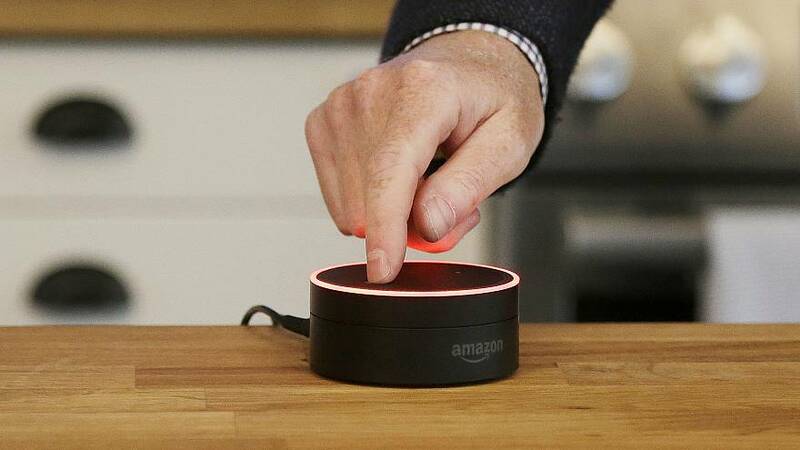 Rachel Silverman, a PR rep from The OutCast Agency who represents Amazon, says the new Routines tab in the Alexa app can control multiple smart home devices at once with a single voice command of your choice. "For example, you can say 'Alexa, it's bedtime,' to turn off the lights, lock the door and turn off the TV," she explains. Alexa connects to food delivery apps like GrubHub, Domino's and Seamless, as well as Amazon Restaurants. Connect her to your food delivery app of choice ahead of time so that the next time your stomach starts to grumble during that Netflix marathon all you have to do is ask Alexa to reorder your favorite dish. Is "Alexa" not exactly the name of choice for your new right-hand woman? Is "Amazon," "Echo" or "Computer" more your style? To drop the "Alexa" which is called the "wake" word, just go to Settings and pick a different wake word to shout across the living room. Now if Alexa could only figure out how to serve cocktails and rub our feet, we'd be all set.